Country music icon Dolly Parton has worked plenty of overtime this year, writing the music and lyrics for 9 to 5: The Musical, which was inspired by the hit 1980 movie comedy she starred in (with Jane Fonda and Lily Tomlin). The multi-Grammy winning singer/songwriter/actress, who wrote the original hit song ‘9 To 5,’ was recently in Los Angeles to oversee the impressive new stage version at the Ahmanson Theatre. A veteran songwriter, Parton wasn’t sure whether her tune-crafting skills would transfer effectively to composing a score for the stage, but she got out her old script, stowed away in her lake house, and gave it her best shot. 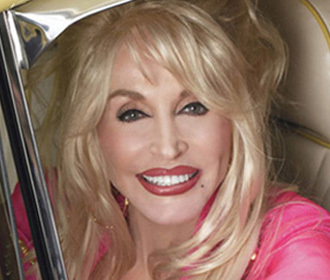 Parton says this style of songwriting was more freeing than penning songs where she is limited by expectations of song length, style, and structure. Regardless of the avenue for creating music, the country legend readily admits she loves songwriting more than her other creative passions like performing, acting, and recording. Parton is renowned for writing many country classics such as ‘Jolene,’ ‘Coat of Many Colors,’ ‘Love is Like a Butterfly,’ ‘My Tennessee Mountain Home,’ ‘Two Doors Down,’ ‘Heartbreak Express’ and ‘The Seeker.’ And of course her biggest copyright is ‘I Will Always Love You,’ which was first a country hit for Parton and then in 1992 became the #1 pop smash for Whitney Houston (for The Bodyguard soundtrack). That ravenous hunger feeds beyond the country music genre. As Dolly has dabbled in an eclectic array of interests over the years, her fans have sprung up in bluegrass, pop, and on the big screen. In the future, Parton wants to add to her repertoire of interests. She said she would love to develop and star in her own children’s show, write children’s books, do children’s albums, movies, and DVDs.